This custom Masterpiece Homes-built ranch with a loft has unbeatable views of the fourth hole on the Sycamore Hills Golf Course and water views from the open deck overlooking the private backyard. The home sits on .4 acre, partially wooded lot just across from the racquet club and pool. Inside, an open floor plan is featured on the main floor. Just to the right of the foyer is a bedroom that could also be utilized as an office or den and to the left is the dining room which is conveniently open to the family room. The family room is bright and open with cathedral ceilings and picturesque views of the golf course and water. The master bedroom also has views of the backyard, highlighted by an enormous master suite with a garden tub, walk-in tile shower, his/her walk-in closets, massive double-sink vanity, and all new flooring. The kitchen has newer appliances (Frigidaire range, Jenn-Air refrigerator), granite countertops with an island, and convenient breakfast area w/ walkout to the open patio and deck. The kitchen is open to the living room and is highlighted by a fireplace and a walk-up to yet another living space in the loft area. The finished, daylight lower level with large picture windows is split into a large family room and recreational area (complete w/ 4-stool wet bar), and 2 large bedrooms split by a full bathroom with new vanities, hardware and counters. 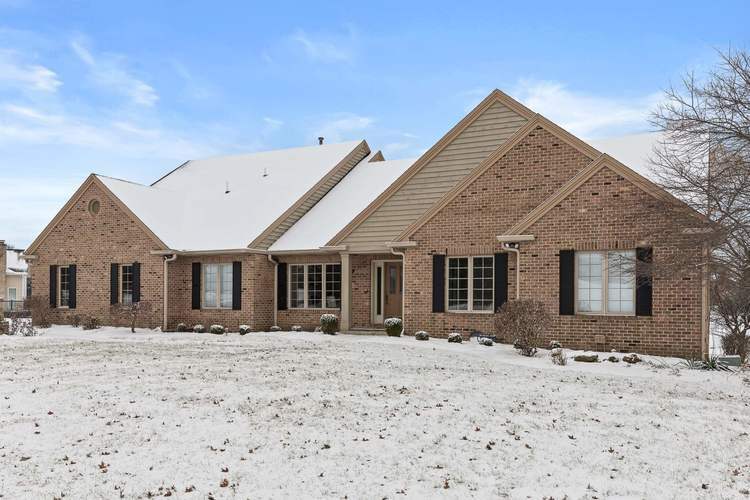 Additional features of this home include a concrete patio w/brick wall, a stone walkway to the lower level, a massive laundry room on the main level, freshly painted white trim, and new flooring throughout most of the main level. Directions:Covington Rd. to Sycamore Hills Dr. Listing provided courtesy of Encore Sotheby's International Realty.